Hi everyone! 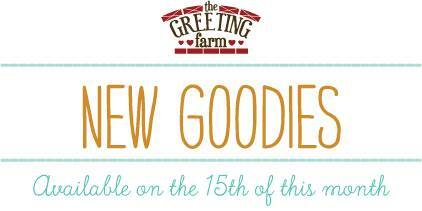 Here we are, the FINAL day of previews at The Greeting Farm before all these goodies will be release Friday! 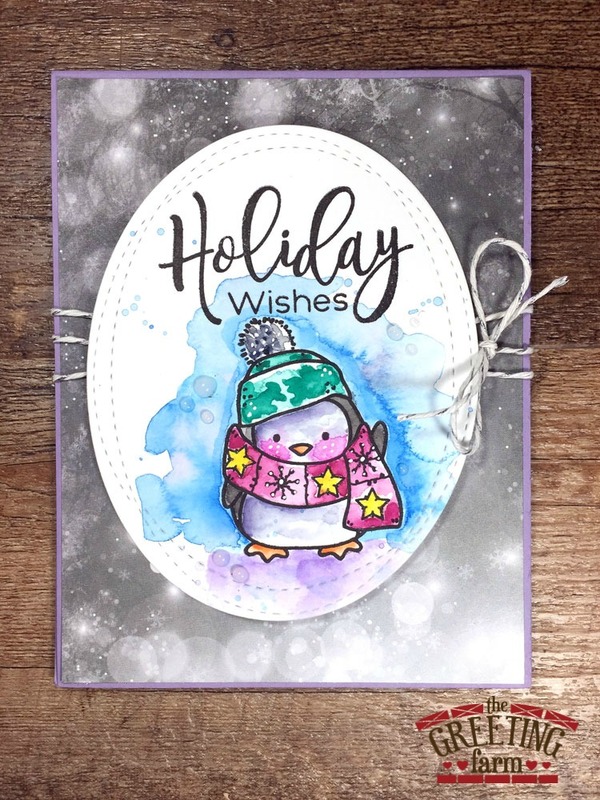 Today we're showcasing Holiday Wishes with the most adorable little penguin ever! My watercolors were still within arm's reach but this time I paired it with some pattern paper. I really love how this little guy turned out. 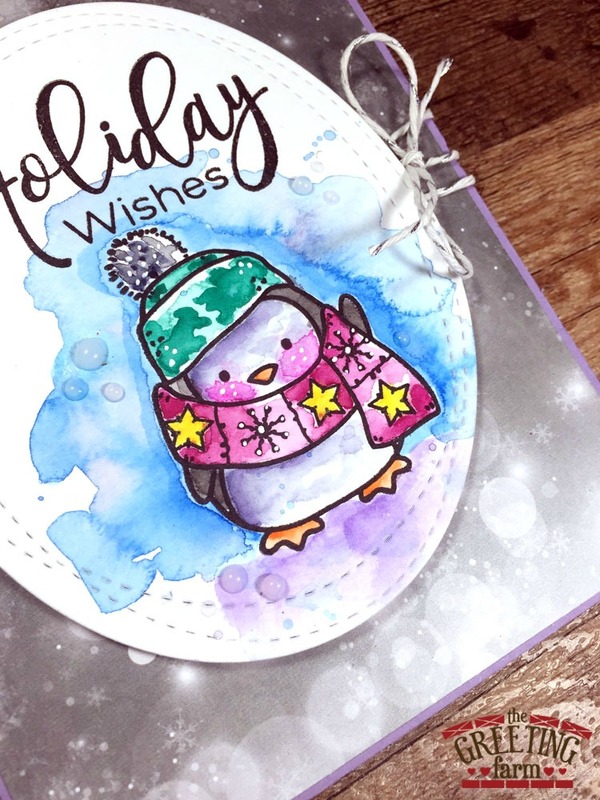 Today I exclusively used the Jane Davenport Mixed Media Watercolor set. I love how bright and beautiful these colors are. Plus, her brights collection has all my favorite colors like purples, teals and pinks which went along beautifully with this paper. Again I'm totally in love with your watercoloring job !! Your background is great too.